Historic preservation is an important thread in the texture of a community. It serves as a bridge from the past to the present and on into the future. It gives a uniqueness of place in the age of cookie-cutter stores, chain restaurants and subdivisions in which most of the houses are mere variations of each other. 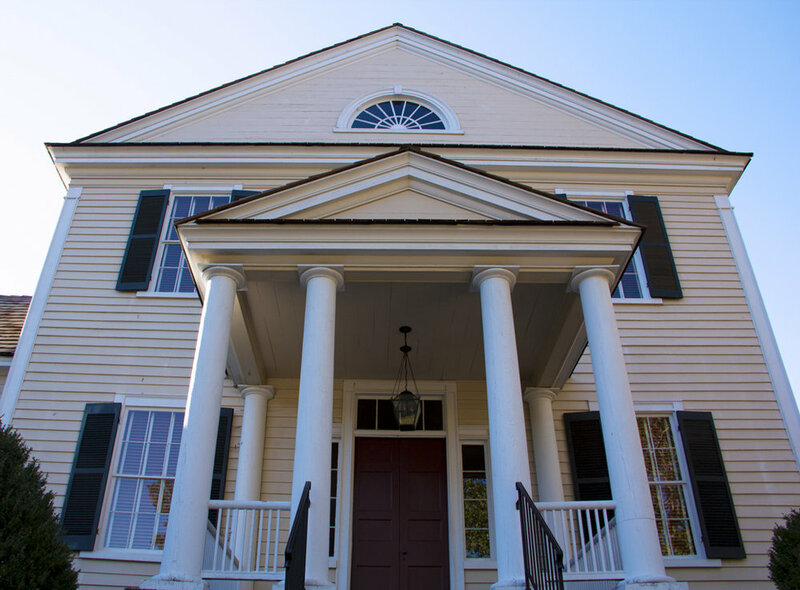 Welcome to Person Place, a Louisburg original since 1789. Due to the determination of a small group of locals in the community who donated to the cause in the 1970's, this very dilapidated old home covered with an overgrowth of vines, and in disrepair, etc., was sought after for preservation within this small town of Louisburg. This house, today known as The Person Place, is now listed in the National Register of Historic Places. It is a transitional Georgian/Federal style house, unlike any other in Louisburg. 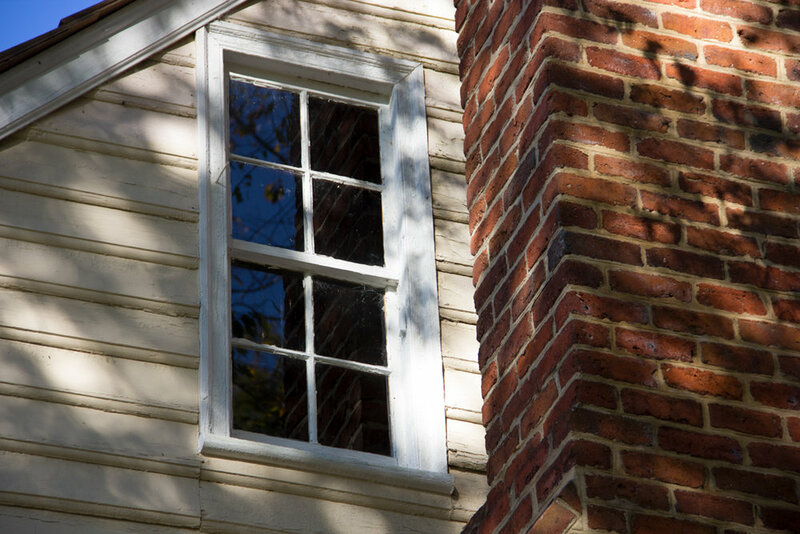 The origins of this house can be traced to Pate Wills Milner, who deeded the land for the establishment of the town of Louisburg in 1779. Viewed from the road, the original part--- the southern wing of the house (small Georgian structure), was built around 1789. Its larger Federal section was said to have been built around 1830. Perspective shot, facing Main street. Front porch on a sunny day. Throughout its history, the Person Place's existence has been intertwined with that of Louisburg College, and thus, with education. While the school received its charter in 1787, the Georgian (smaller) part of the Person Place was built in 1789. Franklin Academy (now Louisburg College) opened in 1805. After several generations passed in the Person Family, the decision was made to sell The Person Place to Louisburg College in 1970. Louisburg College still owns The Person Place, though it is leased to Person Place Preservation Society. The Person Place is a focal point of historical and architectural interest of which the residents of Franklin County can be justly proud. The Person Place reflects the lives of people who had visions for Franklin County. 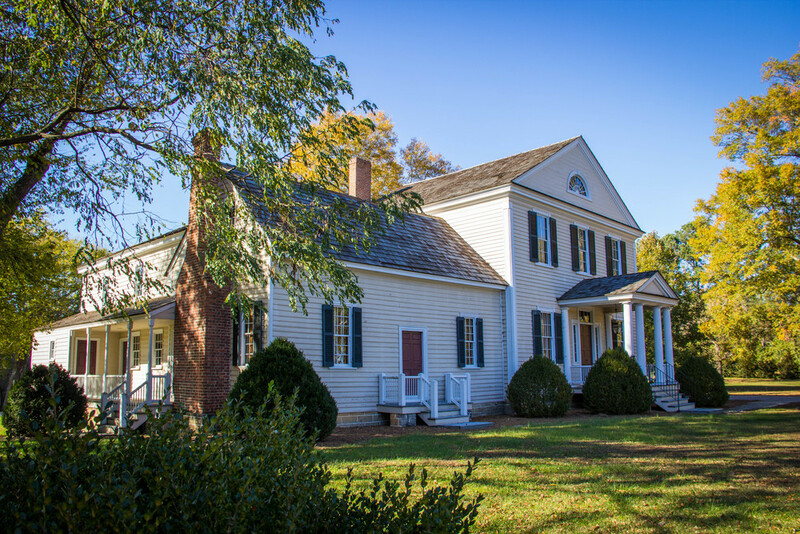 Today, the preservation of this house enables the public to enjoy it for wedding receptions, meetings, community gatherings and seasonal events…all promoting an appreciation of history, respect of our past, and the importance of those who have gone before us leaving this legacy behind for future generations.